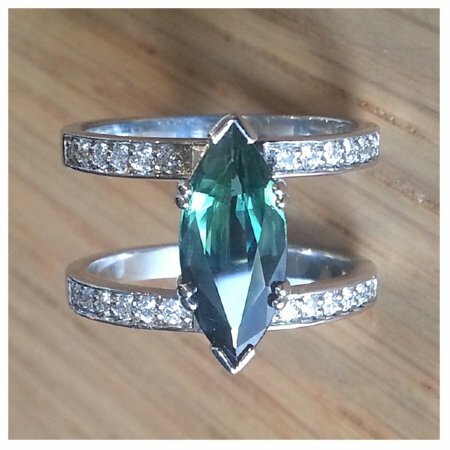 This Australian green marquise sapphire is truly captivating! Surround by two feminie pave set diamond bands. A delicate yet mesmerising engagement ring!